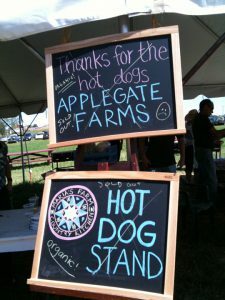 This past weekend was the second annual Organic Apple Festival at the Rodale Institute farm in Maxatawny, Pennsylvania. The sun was shining, the air was cool, the apples were ripe, and people started coming…and coming and coming. I got my grill going right at 10:00 a.m., and during the first 45 minutes sold one or two hotdogs (although, my awesome team of helpers ate even more!). Suddenly, at about 11:03, a giant line started to form. Crap! I threw as many dogs on the grill as I could. Soon, all four grills were going and there was a giant surge of hungry hotdog lovers. Joe Burke, head of green culture services at Rodale Inc., was helping me with the dogs and the grilling. Budd Coates, longtime fitness coach at Rodale, was also helping like crazy. Ethne Clarke, editor of Organic Gardening magazine, was working the buns and taking the orders. She kept shouting out “I need six dogs!” and then, “I need four dogs and one vegan!” and we ran back and forth, cooking dogs and stuffing them into squishy Martin’s Famous Potato Rolls. 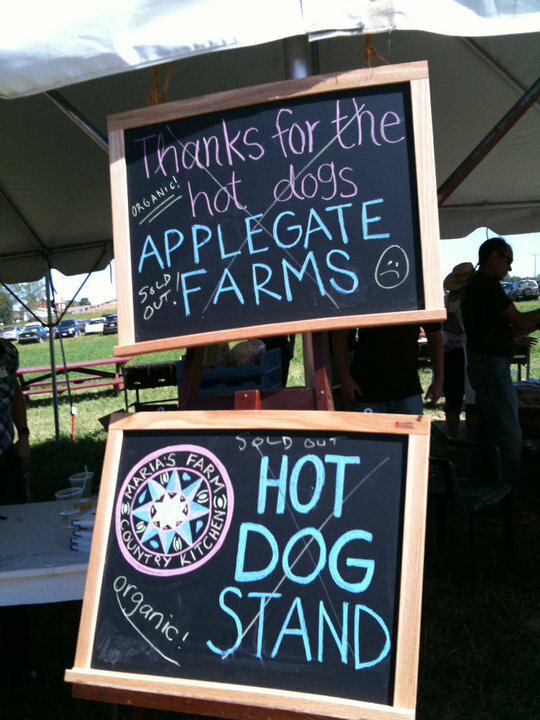 The line never ceased, and by 12:45 we saw the bottom of the last cooler of the 550 organic hot dogs generously donated by Applegate Farms. Even the organic tofurky dogs that I had purchased separately dwindled down to the last four… But the line was still long, and there was no end in sight. The last hotdog was consumed by my daughter, who had organized the whole event, but she ate one that had fallen in the dirt, had been rinsed off and reheated. As her mom, I knew that if she weren’t fed she would get real cranky later, so she ate that dirty dog. And we were completely sold out by 1:00 p.m. MEANWHILE, my amazing assistant, Kate Oswalt, and my awesome digital coordinator, Dana Blinder, were making apple cider floats and maple creamies. Maple creamies are something I’ve had in Canada and Vermont, and I felt it was time to bring them to Pennsylvania: vanilla ice cream with maple syrup…all organic, of course. We used Alden’s organic vanilla ice cream and Coombs Family Farm organic maple syrup. The apple cider floats were made with fresh cider pressed from the Rodale Institute’s own apples just a few days before. It was all luscious, delicious, and very, very sticky! We ran out of ice cream by 3:00 and finished the apple cider by 4:30. I still have one jar of maple syrup left over, though. And through it all, my soon-to-be son-in-law worked the cash box. Last year at the Apple Festival, he asked my husband and me for permission to propose to our daughter Maya. We said yes, of course. He is a great guy, a hard worker, and knows how to fix things on Twitter—always handy to have around! Next weekend, they’re getting married! Around 2:00 p.m., Joe Burke left to head over to a local natural foods store, Healthy Alternatives, to buy more hotdogs. He bought all they had (64 dogs), and we cooked them up and sold out in about 10 minutes. Just think how many more we could have sold if we didn’t run out! 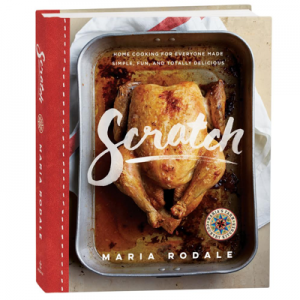 All the money goes to benefit the nonprofit Rodale Institute, so it was for a great cause. But what gave me the most satisfaction was seeing people change their perception of organic right before my eyes. One woman said her hotdog was better than a meal at a five-star restaurant. Another craft vendor friend asked where to buy them, and said they were the best hotdogs he’s ever tasted…and he and his wife LOVE hotdogs. Another woman said, “Oh, you have organic hotdogs, but you don’t have organic ketchup and mustard?” And we said, “Oh, yes we do!” She didn’t realize the familiar bottles of Heinz ketchup and yellow mustard held organic versions. Kids ate everything like crazy. And the only complaining happened when we ran out. Next year, I am upping my orders of everything! Thank you to everyone who came out to visit. Thank you especially to everyone who helped me at my stand. 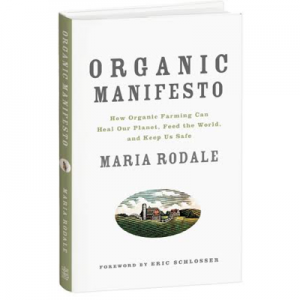 And thanks so much to the whole staff at the Rodale Institute, who made it all possible. It was good hard work, but it was fun, and if it helps people understand the importance of organic—and how good it all can taste and feel—then we’ve done our job. We are changing the world, one hotdog and one apple at a time. I Bet You Don’t Know Jack about Dirt! Those apple cider floats were absolutely AMAZING!!!! I am SO glad I tried one and will be drinking a new dessert this year! I’m so sorry I wasn’t there ! I ‘d love to be part of such a great event ! I miss everything over there ! Again Maria, you and your staff and of course Maya did an amazing job. My family had a great time. My daughter Julie won’t stop talking about it. I told my two daughters I would pay for all the apples they and the grandkids could pick. They picked $44 worth of apples!!! lunch was delicious and your apple pies are always the best. It was a fun time for all and I came home with am empty wallet, but I know the money is going to a great cause. 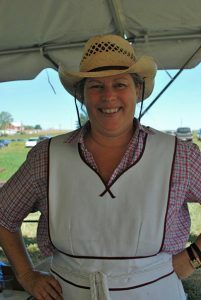 Maria, I am sooo glad you were able to get in tough to Applegate Farms. I tried numerous times and never received a response. I was extremely disappointed.